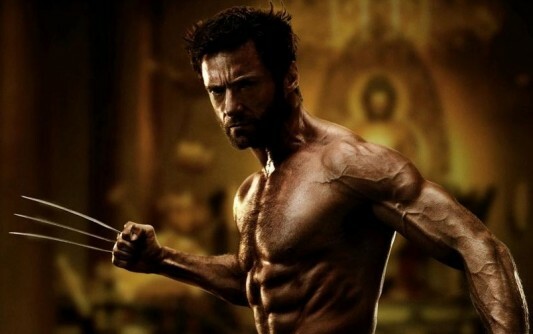 The Hugh Jackman Workout combines lifting and diet to create the Wolverine Workout. Hugh Jackman is best known as The Wolverine, so we’ve focused on the Hugh Jackman Workout for his Wolverine movies. There’s two very different workouts he used, based on the fact he used a different trainer for each movie. We’ll start with the workout Hugh Jackman did for The Wolverine (2013). Following this, there’s also the workout Hugh Jackman did for X-Men Origins: Wolverine (2009). Both workouts are straight from the horse’s mouth–Hugh Jackman, and the trainers that trained him. For The Wolverine (2013), Hugh Jackman worked out with David Kingsbury. Check out more from the source, Hugh Jackman trainer David Kingsbury’s website. Hugh Jackman tweeted on August 9th 2013, to check out his trainers website via @RealHughJackman. The Hugh Jackman Wolverine Workout Monday routine starts with a Chest & Arms workout, followed by 45 minutes of low-impact cardio on an empty stomach. The key is to do weightlifting and cardio before the first meal of the day to burn the most fat. Hugh Jackman used rowing, elliptical, and spinning bicycle machines to get his cardio in. His trainer says that you can use a treadmill, but Hugh Jackman did not because they couldn’t risk a high-impact type of injury. So, you finish the Monday workout by doing 4 exercises #6-#9 all at once. Rest 60 secs after the Superset, then do all four exercises again. 3 sets of 8 reps of each exercise, 1 circuit at a time, will do the trick. Hugh Jackman workout trainer, David Kingsbury, would have Hugh Jackman workout first thing in the morning on an empty stomach. Kingsbury suggests doing a 2nd cardio in the afternoon if your goal is to lose weight. David Kingsbury, Hugh Jackman’s trainer, says that The Wolverine Workout cardio is based on Hugh Jackman’s fitness levels. As the weeks went by, Kingsbury increased the cardio levels of the Hugh Jackman workout. He says that if you’re already in great shape, you can start doing Week 8-12+ right away. (Beginner) Week 0-4: 45 minutes AM low intensity cardio, no PM cardio. (Intermediate) Week 4-8: 45 min AM low intensity cardio, 45 min PM interval cardio. (Advanced) Week 8-12+: 45 min AM low intensity cardio, 45 interval cardio PM, sled session if you can. The Hugh Jackman Wolverine Workout Tuesday routine starts with a Legs & Abs workout, followed by 45 minutes of low-impact cardio on an empty stomach. In the first four weeks of The Wolverine Workout, they used 5, 45 minute low intensity cardio sessions per week, and one sled session. The sled session would be done on a rest day, usually Wednesday or Sunday. If you need a day of recovery during the week, take a day off and just do a sled or interval cardio session. Then, bump the weight training down a day for the rest of the week. Back Squat (see below: 4 sets of 5 in week 1, etc.) Rest: 150 secs between sets. Leg Press Machine (Single-Leg) (4 sets of 10) Rest: 60 secs. The Wolverine Workout often uses Rowing Intervals. Here, you do 1600m of sprints. Start with a warm up at a moderate pace for 500m. Then, sprint 100m on the rowing machine. Now, you get to go slow for 100m. Repeat both sets 7 more times. This will get you to 1600m. Also, Hugh Jackman does 30 secs of all-out rowing, followed by 60 secs of slow speed. Continue for as long as you plan to go. Hugh Jackman also does spinning bike intervals. Here, you do a warm up, then sprint for 30 secs followed by 60 secs of slow speed (just like the rowing). For the early morning cardio, done after the workout but before first meal, Hugh Jackman does steady pace rowing, elliptical, walking, or spinning bike while staying in the 60-65% of his max heart rate (MHR). Hugh Jackman’s trainer says that you can use a treadmill, but Hugh Jackman did not because there is a higher risk of injury when using a treadmill. They did not want Hugh to get hurt while doing the Wolverine workout. There’s also a couple exercises for core on Friday-incline situps and landmines. I started this workout 4 days ago and am really enjoying it. But is it not over training the chest, shoulders and arms, doing them three times per week? Also is only 1 day off enough recovery time before training that same muscle group again? If I want lean size gains, but to also stay reasonably cut should I be doing this workout or move over to the Dwayne Johnson one, as I’ve read a lot of positive reviews on it. I just added The Wolverine 2013 workout. Let me know if you like it, or have questions. To your question about the 2009 Wolverine Workout, I only included the “Fat Loss” routine. 1 day is enough to recover on the “Fat Loss” routine, since your reps are high. But, you’re right that it would not be the case with the Strength/Size amount of reps. So, I also added the Strength/Size routine for the Hugh Jackman workout. The Strength/Size split breaks down the Wolverine Workout into smaller components. Now that you have a lot more information to work with, I suggest trying the new Hugh Jackman 2013 workout. The 2013 workout focuses on fat burning cardio on an empty stomach. The trainer talks about how this is the key when it comes to lean gains. Also, check out the Dwayne Johnson workout to get the diet information in full detail. After all, this is the diet Hugh Jackman uses, and he says that 70% of your results comes from your diet. Hi, I’ve just started the 2013 workout and so far so good, but it doesn’t seem to say what you go onto after the 3weeks of heavy 1 week of size training? do you just repeat the cycle again or is there different workouts for the following months? also on the 3rd month does the diet change to the 16/8 fasting diet? The goal after 4 weeks of training is to bump up your working max by 5-10%. So, if you’ve had a mediocre lifting month, bump your working max up 5%. But, if you’ve had a stellar month, bump your working max up by 10%. For example, if you’re working max is 135 (lbs.) on bench, you might bump it up after 4 weeks to 142 (5%) or even 148.5 (10%). Also, I’ll add more information about the Wolverine diet into the post. Thanks, I’ve added the Hugh Jackman workout “cardio” sections so that the diet makes more sense. Wednesday and Sunday are the rest/cardio days, as that’s the day his trainer says they try to rest/do cardio. This makes the diet easier to understand. Wednesday and Sunday are now the low carb days, because they’re the rest/cardio days. This is only the case if those are your rest/cardio days. This way, you cycle your diet to match your weight training. Eat high carbs on days where you train heavy, and low carbs on rest days. So, instead of generic advice from Hugh Jackman’s trainer, I’ve updated it to mirror Hugh Jackman’s actual workout routine. On calories, Hugh Jackman’s trainer says he uses the Harris Benedict formula to calculate calories. He adjusts the scale with a 1.1-2.0 activity calculation. You can try that calculation, or use the standard advice of eating 1g of protein per pound of lean bodyweight per day. This should make up 50% of your calories, while carbs/fat make up the other half. On heavy days, most of this comes from carbs. On low intensity/rest day, this comes mostly from fats and green veggies. Thanks for that Chris .. One last final question about the Interval training, it says low carb days on wed/ sun with low intensity cardio, but is that still the case if your doing intervals in the afternoon as well or do you up it to a medium carb day (carbs until 4)? Also if you don’t have a sled what sort of intervals are best to do.. Rower/stairs/bike? And what sort of interval times? 30/30? Cause usually I’d only do roughly 20 mins intervals, so if upping to an hour are the rest times ment to be longer? Hugh Jackman would stick to low carbs on Wednesday, even if he did interval training cardio. The reason is that his trainer is focused on carb cycling throughout the week. Carb cycling will help you improve insulin sensitivity, increase fat burning, and increase muscle gains. if you don’t have a sled, you want to mimic it the best you can. Using stairs is the best way to mimic the cardio effects of the sled exercise. Rowing is the best way to mimic the pulling. You can even use the elliptical for a low impact variation (but you have to use a heavy setting and bend your knees for the best results). Still, nothing beats the sled because of all the muscles it activates at once. Do your best to go all out to mimic the sled. The Hugh Jackman workout uses Rowing Intervals. Here, you do 1600m of sprints. Start with a warm up at a moderate pace for 500m. Then, sprint 100m on the rowing machine. Now, you get to go slow for 100m. Repeat both sets 7 more times. This will get you to 1600m. Also, Hugh Jackman does 30 secs of all-out rowing, followed by 60 secs of slow speed. Continue for as long as you plan to go. Hugh Jackman also does spinning bike intervals. Here, you do a warm up, then sprint for 30 secs followed by 60 secs of slow speed (just like the rowing). For the early morning cardio, done after the workout but before first meal, Hugh Jackman does steady pace rowing, elliptical, walking, or spinning bike while staying in the 60-65% of his max heart rate (MHR). Have Fun and Good Luck! hello cris (again )!….i was wondering, how wolverine has increased its mass training on an empty stomach in the morning, and after eating proteine ? ?needed to develop muscle? !…thank u for your time! The Hugh Jackman workout uses something called intermittent fasting to develop muscle. This is where you only eat during a ‘window’ during the day. Hugh Jackman gets all his calories in a 7-9 hour window. Also, his trainer says that to counter the muscle loss that would occur from not eating in the morning, he has Hugh Jackman take 5-10 grams of BCAA’s before and after their morning workout. If you want to lose fat, working out first thing in the morning, on an empty stomach, is the way to go. If you’re also trying to build muscle, then make sure to take BCAA’s before and after your workout. I got all the supplements now does he, take the bcaa n l carnitine n the animalpump all together before the cardio or he just takes the animal pump after his 45 cardio before he started lifting? Hugh Jackman’s trainer says they take BCAA’s, L-Carnitine, and animal pump all pre-workout on an empty stomach. So, before the weight training you take it all. Then, after the cardio, you take another 5g of BCAA’s to prevent muscle loss from the cardio. Thanks bro one more question since I’m taking the bcaa after the weight training does that mean i still take my regular protein shake after with the bcaa”s? I used to do what you’re describing: Take BCAA’s pre-workout, and then a protein shake afterward. But, I stopped taking the protein shake post-workout in favor of BCAA’s instead. My protein shake tasted like a Strawberry milkshake, it tasted too good to be true. As soon as I switched away from whey protein shakes, and to BCAA’s before and after workout, my fat went away. But, like Hugh Jackman’s trainer says, if your protein shake is low in sugar, and you tolerate milk well, then go for it. Hey, Chris I’ve got two questions to the Wolverine Workout 2009! 1. Is there a special reason why they do the 2 split training on 5 days in a row and then have 2 days resting ? Doesn’t it make more sense to do 3 days workouts, 1 day recovery, 2 days workout, 1 day recovery ? 2. Because you train a 2 Split (workout A and B ) you do 3 times A and 2 times B in the first week? Do you continue like that or do you do 3 times B and 2 times A in the second week ? Thanks by the way! Love your website ! Hey, thanks for the kind words! 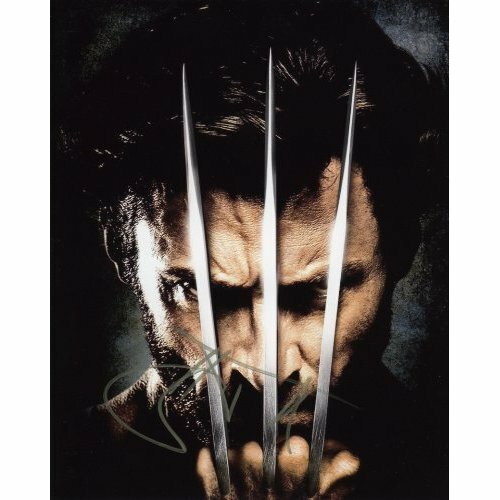 The reason the Wolverine uses this split is because Hugh Jackman is a family man. If you’ve seen his “60 Minutes” interview, he talks about how he never picks a movie role if it conflicts with his family. His mother left the family, when Hugh was a young boy, moving back to England. So, Hugh puts his family first by taking the weekends off to be with his family. In the 60 Minutes interview, he also says The Wolverine (2013) movie was the first time he really ever had to put a movie in front of his family. In the Wolverine workout, you see that he takes Wednesday and Sundays off, in order to cycle his calories properly (he uses his rest days to coincide with his low carb days). To your question, yes it does make more sense to workout the way you describe. If this workout routine makes more sense to you, then go for it. The simple answer is that Hugh likes to take the weekends off to be with his family. I don’t know if he balanced the split, either. It may be that Hollywood is more about having a big chest than big legs, so he didn’t care about balance. Or, he did balance the split the best he could. Either way, I agree with you that it’s a great idea to to do it your way, as there is more balance to it. Hey man, great post. I am really curious though why the biceps and back only get trained once a week, while everything else gets double. Thanks! Good question. The only thing Hugh Jackman’s trainer constantly defers to, is the fact that this workout was tailored to Hugh Jackman’s goals for the movie, Wolverine. If they had an extra day, I’m sure they would double the back & biceps load. But, getting lean was a major goal of the Hugh Jackman workout. Therefore, Hugh Jackman’s trainer, David Kingsbury, wanted to cycle the low carb days with when Hugh Jackman was resting. Also, you can see it in the results. Hugh Jackman focused more on his chest than his biceps. Most of the movie pictures show the result of these goals. If you want to add a second back & biceps day, because your goals differ from Hugh’s, then go for it. Either bump it up, so you’re not resting on Wednesday, or add a Sunday back & biceps routine. Hey, great website and very informing.. Quick question, so for the early morning workout on an empty stomach, is it weights first then cardio or vice versa? I would think weights first then cardio? thanks in advance.. Yes, weights first and then cardio. Hugh Jackman’s trainer says he prefers it this way. In order to avoid muscular breakdown during the cardio, Huck Jackman’s trainer has him take BCAA’s as a supplement. The Rock workout is the opposite. 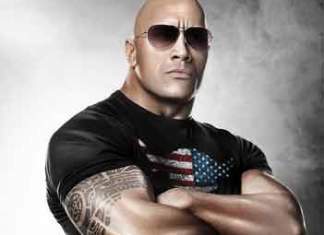 The Rock does his cardio, then eats, then gets his weight training in. I’ve tried it both ways, and I’m not sure which I like better. When you do cardio first, it seems you get a better cardio workout. And when you do weight training first, you get a better weights workouts. Go figure, right? I guess it depends on your goals. Which is more important to you-weights or cardio. Thanks for the quick response! Appreciated. Considering I am looking to put on a bit more size, I believe weights first would work best for me. Thanks again! Reason I ask, is because in all the workout days, it shows weights then cardio, but later in the article under “Hugh Jackman Workout For The Wolverine: 4 Top Exercises” it says this below. So i am a little confused, can you clarify? thanks alot. Hugh Jackman’s trainer always starts him with weight training. Then, they do a low intensity cardio workout. While you sleep, your body burns fat to feed the brain. When you wake up, you need to either burn off that energy, or it returns to fat. This is why working out in the morning is so crucial. It helps burn off energy that your body is prepared to turn back to fat. The 2nd cardio workout, in the afternoon, is a HIIT workout. HIIT workouts are proven to be the best at fat-burning. So, you have the weight training done first. This is because Hugh Jackman’s primary goal was to get jacked. Then, they would immediately do a low intensity, steady state cardio workout to burn off the energy your body stores during sleep. Finally, they would do a HIIT cardio session in the afternoon to maximize Hugh Jackman’s fat-burning to get him ready to play The Wolverine. Sorry Another quick question, do you know when Diet Phase II: Lean Building (intermittent fasting) can be done? Is it after 4 weeks? or can it be done anytime? Would the fasting apply to sunday too, where there was no training at all? thanks in advance. I appreciate your questions. I’m thinking about writing another, hopefully easier to read, article on the Hugh Jackman workout. So, it’s good to know where any confusion is coming from. Intermittent fasting can be done anytime. The key is that all your caloric intake fits into a tight window, as opposed to eating calories all day long. You will get the best results from IMF by doing it 7 days a week. However, you can get some benefit just by doing it once or twice a week. So, experiment with it and find what is right for you. IMF goes good in tandem with your early morning workouts. Your first meal should be after your workout. Thanks again for the info much appreciated. There is a bit of confusion on some things, but then again the workout was custom for hugh , the workout may not work for all, but I think the general idea is there. I’m going to do the IMF 7 days a week for a month and see how it goes. So if i want to add a bit more muscle mass and keep the body fat low as this workout intends to do , i would do the workout with the imf and my clean caloric intake would be my BMR X daily activity level (using Harris Benedict Activity Formula) plus 300-500 calories on top? Im wondering if this would be considered the lean building phase? You have done a great job here and have helped me out tons and I am sure many many others…thanks bro. You’ve nailed by understanding that this is what worked for Hugh Jackman. You will have to tailor your diet a bit to find out what works for you. “Lean Building” is going to be when you’re eating 300-500 calories more than usual. Your body composition is all about what you eat, so keep it clean, and you will transform your body. Best of Luck! Thanks again for the help. Keep up the good work you do on here man. I was wondering if it would hurt to switch Day 5 to Thursday, so I could have the weekend to rest and get the workouts done during the week days. I understand that it might be preferred to have recovery days spaced out through the week. So it would look like this: Tuesday(leg workouts), Wednesday(Biceps mostly), and Thursday(more leg workouts). i was just wondering if doing this would hold me back any. Make sure to eat low carbs on the weekend, when you’re not working out, if you want to follow Hugh Jackman’s diet. I feet it is empowering to work out and eat just like Hugh Jackman did, but also it is nice to have the weekend off. Just focus on making sure you’re eating enough for recovery. And, low carbs on the weekend. Thanks man, I just needed a second opinion! Great article! Thanks for posting such a clear breakdown of the regimen. One question: on the exercises NOT prescribed by the linear progress table, is the expectation that we pyramid up on weight over the four sets, or maintain the same load across all four? I just started this training regimen this week, and I’m stoked about it, but I want to be sure I get it right. Maintain the same load over the four sets. If the first set is too easy, then you know to go up in weight for the next sets. If it gets too tough, go down in weight or rest for a bit longer. Great website and super informative. I am currently starting on the “Training for Fatloss” workout and have to lose about 50 lbs. Should I still follow this workout? Or would you recommend something else? Also, I am a bit confused on the statement: “Don’t rest between sets. Rest 1 minute between each exercise.” Could you clarify more on this? I do not know when to rest, for example, when I do Monday work outs. I see there are 6 supersets. Now, is an “exercise” considered both workouts/1 Rep completed? Or am I misunderstanding it? And lastly, can I use an indoor bike trainer if I do not have a treadmill or row machine? And how long should I bike for? Yes, the Hugh Jackman workout is great for fat loss. Especially with all the supersets which will burn fat while you do resistance training. This means don’t rest as you’re going from one superset of the same exercises to the next superset of the same exercises. You do get to rest when you’re done with 2-4 reps of that superset. You do get to rest when you go from superset to superset (which is what is means by “between each exercise”). In other words, you want to do a superset without any rest. Then you want to complete that 2-4 times total, still with no rest. (Starting out, its OK to rest after each set of reps as you’re building endurance). Finally, you rest for a minute as you move to the next station (for the next superset). You do exercise#1 then exercise#2 of the superset. Then, immediately repeat. When you’re done with 2-4 sets, you finally get to rest as you go to the next station. Hope I made it more clear for you. Exercise bike is great. Try 20-30 minutes starting out, then go further as you feel comfortable each time. If you’re feeling it’s too easy, then incorporate more resistance. Also, you might want to do HIIT (best for fat loss) training, where you go as fast as you can for a minute, followed by one minute of recovery. I feel that type of workout is more fun. Also, remember that your body composition is 70-80% what you eat. So, maintain a clean diet. Yes, just the window. You can supplement BCAA’s when fasting to maintain muscle synthesis. Make sure to go after the good carbs. The darker the better. Sweet potatoes>Baked potatoes; Brown rice>White rice; etc. Also, intermittent fasting is a lot easier when you get your cardio done first thing in the morning on an empty stomach. You body is much more likely to burn fat, and then you can start eating after that workout. Will this workout add muscle mass and burn fat? Yes, the Hugh Jackman workout adds muscle and burns fat, as long as you do it right. The fat burning comes from low intensity cardio in the morning on an empty stomach, as well as, afternoon high intensity cardio. The muscle building comes from the workout itself, along with a proper diet. The workout is fun, and the diet is contingent on knowing how much you need to eat. Thanks posting this; it’s great and I look forward to giving it a shot. Had a few questions that I’d appreciate your guidance on. I’m in a cutting phase right now (work is doing a biggest loser contest) and while I am not overweight I thought it’d be a good time to see what I could do. Keeping between 12-1400 calories and are avg about a 2.5 lb loss per week (lost 13 lbs so far in 6 weeks; started at 186. My workout routine is two a days for 5 of the 7 days in the week. 4 days crossfit and the supplemental workouts are Hiit or cardio endurance such as jump rope/burpees. Hiit is usually done in the morning; CF is done in the afternoon 330 (due to work schedule 6am-3pm). My eating routine right now is about every 3 hours throughout the entire day starting right after Hiit. After reading this I was debating the IMF approach and cramming in eating for an 8 hour period but still keeping calories low during this phase (8-12 weeks or so). What are your thoughts on that? This is all leading up starting the wolverine workout once I’m done cutting. Also, after this thread I did not know or think about the protein shake and the sugar conversion so that poses my second question. I just use the GNC whey protein brand, drink one a day and is part of my calorie count. I checked the container and it only says 2 grams of sugar per serving. Am I going to see significant improvement by cutting that out and replacing with real food? What are your thoughts? BMR is 1870 and change if that is of importance. Good Luck with your work’s Biggest Loser contest. I won mine a few years ago, and got some serious cash to boot. I would say that fasting/low calories is the key to winning. I would suggest replacing morning HIIT with low-intensity cardio. This is because your body churns up fatty acids, while you sleep. Doing cardio first thing in the morning, on an empty stomach, burns these fatty acids. Have fun with this. Try the IMF approach (that’s what I did). Be serious about it. Hard code in your head the times when you can start and stop eating. Don’t cheat. See how far you can go. It will be over soon, so just let your competitive spirit drive you. Also, I remember Hugh Jackman saying he had a steak in front of him, but it turned past 7PM, so his wife took it away! That’s the type of dedication you need. 2) even if the sugar content is low, they’re likely to have sucralose. Fake sugars will still affect your leptin levels. I still use them if I know I’m gonna be really sore, but not during cutting phases. 1)Read the follow-up to this, The Wolverine Workout. It has a meal plan, and a link to a BMR calculator. Try using your ideal weight, then subtracting 15% to get your caloric intake. 3)Check out the Get Lean in 12 videos on Youtube. I feel like I’m burning calories just listening to him. It’s just more advice to digest. Good Luck! Thanks for the great response-couple of follow ups. -Shifted to low cardio this morning. 30 min is about all I can squeeze in before work. Rowed. So my THR is saying 110 at 60%. (age 36) But I’m seeing in parts of the article 65% as well. Does it really matter as long as I’m in the 60-65% zone? -I noticed in the updated Wolverine workout page you ref’d, you talk about needing to eat within 3 hours of initial workout in the morning. How crucial is that before my body starts pulling from muscle? That is tough for me b/c I do my heavy workouts in the afternoon at 330. My thought was waiting til 1030am for the first meal thus giving me time after my heavy workout to eat something before the window closes at 630. Or on those days should I stretch to a 9/15 IMF window? Thoughts? Low cardio workout is DONE by 6 am. -In a cutting phase, is there any reason to add any carbs (breads, rice, etc) what so ever for purposes of insulin/muscle response? Although at this point so far into this, my body may have adjusted to not having them and is burning without. I guess ultimately I’m asking if I should be messing with carb cycling at the moment. -Animal Cuts—I’ve never used any type of cutting supplement before. Are there downsides/side affects to taking them that I should know about? I’m willing to give them a shot if it will make a difference with the current routine. Take in the morning pre-workout preferred? It looks on some of the reviews people complain about sleeping, should I add in ZMA at nighttime to offset? THR should be 65%. I caught that too, and will update the other Wolverine article. I find myself going past my THR without much effort. It’s okay, as long as you’re not driving your body into a panicked, “lets burn muscle for fuel” state. Also, the key is to take BCAA’s in pill form, so you don’t have to worry about losing muscle. I agree with you. Don’t eat after the 30 min morning workout. But, take BCAA’s or you’re gonna lose muscle. Since you’re just doing a half hour, you should be fine. I remember, when I won my contest, that coffee was all I had till lunchtime. 10:30-6:30 sounds great. Experiment with the 9/15, sometimes it just comes down to how you feel–energy level wise. In a cutting phase, you still want to eat steel-cut oats, brown rice, and sweet potatoes on high carb days. Low carb days, focus on healthy fats and lean protein. Tea may help with energy on those low-calorie days. I like Animal Cuts because it has a lot of natural plants in it, not some weird chemicals like you’d find in hydroxycut. But, I suggest you do your own research and come to your own conclusions, once you read the label. Yes, take in the morning. And yes, ZMA is awesome for sleep. I also did a cleanse for 3 days before my contest. We can talk about that more later, if you wish. All that sounds great–yeah I take the poweder BCAA and mix with water. A scoop is ten grams so I’ll bump to one and a half in the mornings. I just refill that bottle and keep drinking water from it until eating time to catch any more remnants of it left (or I just like the taste of it) I always consume during and after. Is there an advantage with the pill form over the powder? I’ve been trying the Neon Sport Kinetic brand lately and it has a good taste. Before that USP Labs. After the first two or three weeks of this with little to no carbs my energy has been back up. Endurance seems to be improving as well. Strength obviously is weak since I’m eating a lesser amount. Thanks for you time again! When you run out of what you have, switch to BCAA pills. The difference is sweetener vs. no sweetener. You don’t want fake sugars in your bloodstream, because they still affect your fat-burning hormones. All those studies that have come out that show drinking diet cola still makes you gain weight apply here. It’s often the same sweetener. Good, as long as you’ve got the energy, you’re on the right track. Now, it’s just a matter of finding the balance between eating a low calorie diet, but still being able to lift. Eat enough carbs so that your endurance during weight training is maintained. Good Luck! Following up again–Cuts and zma came in today. Will start today or may wait til tomorrow and start in the morning to get the full day. For the cuts did you just take the one packet in the morning (think that’s what Hugh did right?) or did you follow the prescribed dosage on the packaging? twice a day. Also, I feel I have already noticed an increase in conditioning levels with the low impact cardio training in the morning. However, I just got a chance to watch one of the get lean in 12 vids. The one about the 3 growth hormones tricks to naturally elevate GH for fat loss. If I heard him correctly he says do a high intensity workout in the morning before eating. Which seems to contradict what we had talked about doing. Just wanted to get your thoughts on this or if I’m mis-undertanding him in some way. Thanks again for your generous advice. Hugh Jackman’s trainer never specified how they used Cuts, so let’s stick to what it says on the label (2x a day). I’m taking out the blue capsules (water shedding) because I don’t want to shed water until it’s close to weigh-in. I’ll take a double dosage of the blue, close to my goal date. Here’s the research on Dandelion root and Uva Ursi, the serious components of the water shedding pill. I’m taking Animal Cuts twice a day as directed. Yes, I watched the fat burning video where they suggest HIIT training in the morning. I’m a bit torn on what to do myself. After some thinking, you have to consider your goals. Hugh Jackman and The Rock both want to retain their muscular physiques. That’s why they stick to low-intensity, empty stomach cardio in the morning. Their fat burning comes from the fatty acids that get churned up while you sleep. This requires 40-50 minutes of your time, first thing in the morning. Again, this is with the goal of fat burning in the morning, while retaining muscle. If you’re in a contest, or simply don’t care about losing a bit of muscle, then I’d go with HIIT training in the morning. You probably want to eat something before cardio, and again after, to counter the fact that your body is likely to be in a catabolic state. If you’re sticking to the fasting method, then make sure to just take BCAA’s before and after. Granted you’ve said you only have 30 minutes in the morning, HITT (or a mix of HIIT and low-intensity) is probably best. The most important advice, given by Hugh Jackman’s trainer, is that if you have to choose between just doing a low-intensity or an interval workout, do the interval one. Another follow up—I know I’ve written a book on this go around, but hopefully this will be continued stimulating conversation. As always, your guidance is great and much appreciated. I have roughly 2 and a half weeks left of our contest and I’m very pleased with the current progress. Dropped nearly 20 lbs and are seeing good definition forming. I doubt I’ll pull out the win since there are others with much more body mass to lose who are well focused, BUT our team should easily pull the win. (free fitbits!) So now I ramping up for a shift in taking in more calories and increased weight training so have some thoughts I’d like to run past you. -For the most part I’m on an IMF of 8/16 but on the heavy weight days I’ll switch to 9/15. -Early morning 5AM low intensity workout at 65 THR (I adjusted my schedule last we talked and are getting in 45 to 50 min each morning of rowing). Sunday 1 hr. Take in BCAA’s 10-15g and Cuts pre-row. -First meal at 1030-11am. Take 2nd Cuts packet. -2nd small meal/snack around 12-1ish. -Don’t work out until 3-4 hours after eating to allow insulin levels to drop thus allowing your workout to burn stored fats/energy during those workouts. -Eat again right after around 5-530-6ish. -Walk after dinner for about 30-40 min if possible (will increase to that time after warmer weather gets here) to encourage calmer insulin levels post food to prep for bedtime. -Operating within the parameters above, I’m essentially eating a big meal right at the start of the IMF window, then one med/snack type meal around 12-1ish to allow time for insulin spike to recover before 330 Crossfit/weight workout. Then last meal, post workout to reach cal goal. My question related is—once I start tacking on more calories, will the body be able to handle that much increase over 3 meals times or should I split them up over 4 to 5 meals during the IMF window? Of course, in doing this, I realize I will cut into my period allowing insulin levels to drop before working out. Or is this really all dependent on each person’s body and how they adjust to taking in so many calories/protein at each meal? When building muscle strength in this way, should I not worry about this 3-4 hour insulin window post eating? I do still want to keep lean but that may come from the continued morning low intensity and after HIIT’s. -Also, does it make more sense to slowly increase the cal intake over time or jump straight from 12-1400 up to 3-3500 cal? -I want to make sure I’m understanding the BCAA intake for the morning. Is it 10-15g before AND after low intensity (so 30g total) or just 10-15g total throughout that workout? This will be easier once I switch to pill form for this. Any rec’s on best BCAA pill form product? Still pro on Universal Nitro? -I’m still working out the final carb cycling/cal intake numbers/percentages for all this. How do you determine the total calories I need to take in—I don’t really want to base the equation on a weight goal as I don’t care about that. Lean muscle/endurance strength focus. What’s the best equation to determine how much to eat over your maintenance cal goal (I think right now at 168 lbs, 7 day workout sched, two a days for 5 days a week, is about 3100 cal last I checked)? -In looking at supplement purchases—Pak, Cuts, ZMA, Pump, and Test. Test is the priciest-how much impact will taking that make? I have no experience with testosterone booster and was thinking of cutting that out; would just do Pump for pre wod. -The Pak, Cuts, Pump supplements—LOT of capsules/pills seems to be the biggest complaint. I’m wondering—for something like Pak, has anyone tried grounding up the pills to powder form and adding to a smoothie, etc? I’m assuming the affect would still be the same right? Thoughts? I think, at the moment, this covers everything I have concerns over. Excited for this new phase! Glad to hear about your success, especially that you’re really starting to see some definition. If you really want to win your weight loss contest, consider going on a liquid fast the final week of the contest. I did something like lemon, water, cayenne pepper and maple syrup for 3 days before weigh-in. I also remember taking something that flushed out your colon/intestines. So, that’s something to think about if you really want to make a push for it. Also happy to hear it’s time to bulk up now. It looks like you’ve got your Intermittent Fasting schedule down pat. Grats on that! You just need 5-10g of BCAA’s pre and post-workout. For all supplements, pill form is better than powder. This is because powder comes with artificial sweeteners that will through your hormones off. As an IF’er, that’s the last thing you want. I take Muscle Pharm’s 3:2:1, so the serving size is right at 6 grams. Starting a bulk phase, I suggest going slowly. Get My Fitness Pal app, or use their website. You can bar-code scan everything you eat to track it easily. More importantly, you can plug in your goals and it tells you what to do. The hard part of your questions is that there’s no research to back up a lot of what you’re asking. It seems study after study just backs up what we already know. Do your slow cardio 4-5 days a week. Do HIIT 2-4 times per week. Keep your IF schedule in check. Slowly increase calories to start bulking up. You might want to spike calories one day, then go back down the next. This will keep your body guessing, which revs the metabolism (refer to Hugh Jackman’s high fat low carb day for example). For me, I would stay away from Animal test or other testosterone boosters. Too many possible side effects. And, if it works, and you stop taking it, a testosterone booster lowers the amount of testosterone your body naturally makes. I like Pump the best, because I can feel it working. Glad you like ZMA, too. Those 2 supplements, plus C4 Extreme pre-workout and BCAA’s are what I take. If I feel run-down, I’ll grab an Animal Pak. But, I’m sure you don’t need all those vitamins every day. The reason Animal products cost more, as far as I understand, is because they’re quality ingredients in pill form. There are powder alternatives, but they all contain artificial sweeteners. I challenge you to find similar products, in powder form, that aren’t full of sweeteners. Maybe they exist? All the pills is just another reason to only take an animal pak if you feel run down. Good Luck! I’ll contemplate the last resort option on the contest; not sure it means that much to me at this point and the other guy may be too far ahead. So I may have mis-communicated the pill/powder question. I was mainly thinking of taking something like Animal Pak/Cuts, taking those vitamins and grounding THOSE up, or opening the capsules, to blend them with a liquid or all natural smoothie on first meal of the day—mainly so I don’t’ have to swallow a bunch of pills. So this would negate the issue to using a powder supplement with artificial sweeteners. I’m guessing the performance value will be the same as ingesting a capsule or maybe faster if I’m grounding them up? Fitness Pal app is what I use now and it’s great. ; def will continue to use going forward. Should I mess with super cuts during this phase or continue animal cuts or cut those out altogether? I believe Kingsbury advocates taking them throughout with Hugh. I guess from a visual perspective I’d still keep using one of them. The cleanse can easily knock off 3-5 pounds. But yea, there’s no reason to if you’re too far away. But, I’m sure by now you’ve realized it’s the journey, not the destination. Now, you’re empowered to take this journey far into the future. You may actually get more out of Animal Pak if you grind it, since the powder may be more digestible. Here’s a Primal website I visit and respect that talks about grinding up vitamins. With Cuts, yeah it might give you the benefit slightly faster, since there’s less for the stomach to have to burn through to digest. Cycle on/off the cutting pills. I suggest switching completely to Animal Pump, that’s my favorite supplement by far. It takes the place of the cutting pills during your bulking phase. So intermittent fasting is only during the cut period, and not the bulking phase? Yes, Hugh Jackman ate 7-8 times per day during the mass building phase. He used The Rock’s diet advice during this period. Then, he got a new trainer and they decided to use an intermittent fasting approach for lean building. 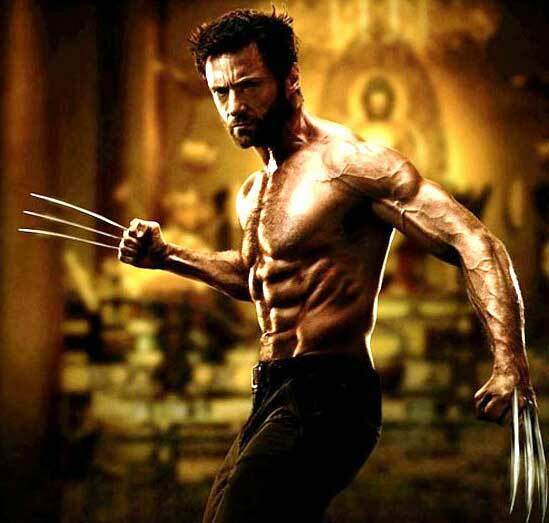 You can read more about the intermittent diet The Wolverine used by reading “The Wolverine Workout: How To Get As Jacked As Hugh Jackman” post. Hi Chris, in the Hugh Jackman workout (2009), fat loss phase, do I go supersets after supersets without resting and then only rest 1 minute between different supersets ? Bench press – Dumbell Fly, no rest, then jump right back to Bench press – Dumbell Fly, keep doing that for 2-4 sets and only rest for 1 min when I move to the superset Military press – Alternating Dumbell shoulder press ? Or just rest in between the supersets? Do both exercises in the superset, 3-5 times, then rest and progress to the next exercise. For example, do Flat Bench Press and Chest Flys for 3-5 sets. Rest one minute, then go onto the next superset. So, you rest 1 minute after you complete all the sets of one superset. So, do the 2 exercises in the supersets, then rest 1 minute. Over time, progress to where you’re doing 5 sets of a single superset, then resting a minute. Hugh Jackman would rest longer during the muscle-building segment of his training. For fat burning, you want to do the entire workout with lower weight, higher reps and little rest. I know it’s a complicated workout. Grats on even attempting it. You can learn a lot from his Hugh Jackman’s routine. What I really learned from it is the power of supersets. You get a lot more done, and even get a cardio workout to boot! How long does one rest between sets? (not supersets you gave that answer) Thanks. For compound lifts ( incorporating multiple muscle groups), you want to rest the most. On Bench Press, Hugh Jackman rests for 150 secs between sets. For isolation lifts (focusing on one muscle group like tricep extension), he rests for 60 seconds between sets. If you’re lifting with a spotter, and going real heavy you typically want more rest. When your lifting less weight, and doing higher reps, there’s less need for rest between sets.